Trappist Westvleteren (pronounced West-vleh-tuh-rin) XII is a Belgian Quadrupel-style ale that has garnered 100 point scores on beer consumer enthusiast websites including BeerAdvocate.com and Ratebeer.com. What is it about this ale that makes it so special? Let us begin with the flavors, which are described by many as a magnificent combination of malts and dark-fruit Belgian yeast esters, delivering a level of complexity beyond most any other beer. The rarity of this beer certainly adds to its allure, for it is indeed generally exclusively available in limited quantities and in one place; the brewery store in Belgium…and then only after having made an advance reservation to make a purchase. The brewery itself is part of what makes this beer special, as it is not a typical secular business operation. Rather, the brewery is housed within The Abbey of Saint Sixtus of Westvleteren in Flanders, Belgium. The abbey is the home of 30 Cistercian monks. The Order of Cistercians of the Strict Observance (OCSO), also called Trappists, is a contemplative Roman Catholic religious order that follows the Rule of St. Benedict, which includes a lifestyle of self sufficiency; the monks live by the work of their hands producing goods that are sold to provide income for the monastery. 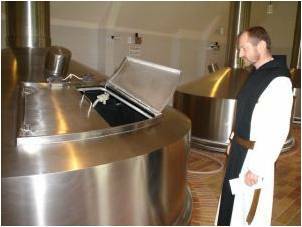 The various goods produced at Trappist monasteries include body-care products, cheeses, honey, chocolates, breads and other food items, and liquors, wine and beer. 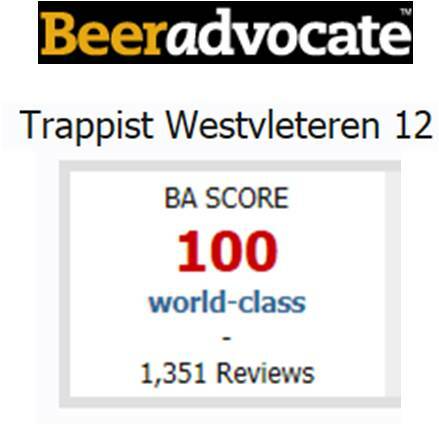 Westvleteren is one of six Belgian breweries legally allowed to use the name of Trappist Beer. The others are Achel, Chimay, Orval, Rochefort, and Westmalle. A 7th Trappist brewery, La Trappe, is in the Netherlands, and the 8th (of 8 total) Trappist brewery, Stift Engelszell in Austria, just released their first beer. Westvleteren brews three beers: Trappist Westvleteren Blond, Trappist Westvleteren 8 (dark), and Trappist Westvleteren 12 (dark). 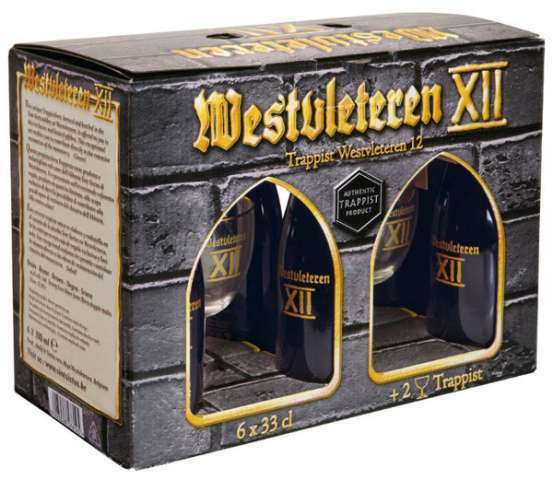 Trappist Westvleteren 12 (or XII), the strongest of their three beers at 10.2% ABV, has been made available for sale in the United States legally for the first time by the monks of The Abbey of Saint Sixtus. This is a very special, one-time availability of a limited quantity of this ale, packaged for export solely for the purpose of raising much-needed funds for repairs and upkeep at the abbey. Special packs containing six 33cl (approx. 11.2oz.) bottles plus 2 glass chalices were produced for this fundraising effort. Total Wine & More has agreed to the strict guidance and wishes from the abbey monks regarding the sale of this beer, including selling the full packs (they are not to be broken down with the contents sold separately). We’re selling this beer at the abbey’s suggested price of $85 (our actual price to you is $84.99). We are proud and honored to have been selected as a retail partner to deliver this special Westvleteren XII pack to you! (while supplies last). Click here for the importer’s national listing of states and retailers who will be selling the Westvleteren XII brick. Our Laurel, MD location opens at 8am tomorrow. Will they be available for online purchase or just in the store? i heard certain stores already sold out. what about jacksonville st johns town center? Westy is available in all our Florida stores beginning this morning, inventory is very limited. Will this beer be available in Tucson? I showed up this morning but they were all sold out. Was it Total Wine’s decision or the monks to completely ignore their loyal customers in Virginia? This release was a one-time only event in 2012. Sorry to say that we’re long sold out.